The dynamic of parent-infant interaction is the most important foundation upon which a child learns about the self, and about trust and respect. It is this first relationship that influences the way relationships are perceived. Infant massage enhances the parent-baby bond, helping to create more family-centered values. Babies are aware human beings who deserve respect, tenderness, warmth and, above all, a listening heart. Infant massage is a foundation from which parenting skills emerge. Infant massage instructors train parents and caregivers to massage their babies, and read their babies’ cues while developing interactional skills enhancing communication. 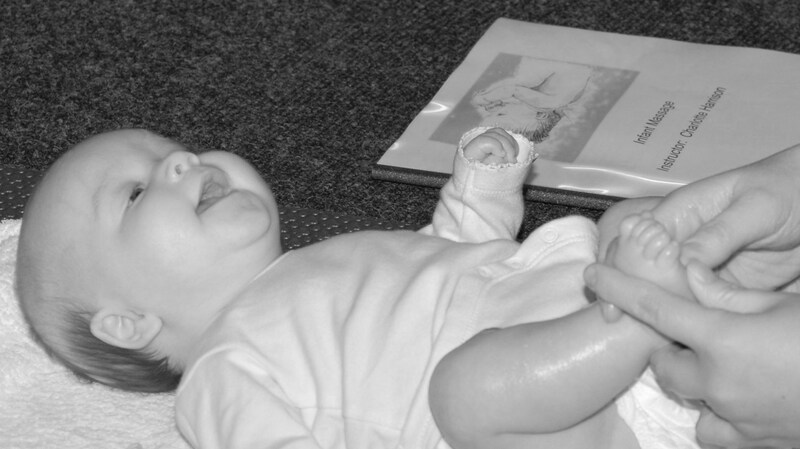 Infant massage instruction encourages nurturing touch and communication through training, education and research. Throughout the world, by using infant massage parents, caregivers, and children are loved, valued and respected. Every parent, child and infant will have the opportunity to experience the lifelong joy that comes from having an early relationship that is loving, healthy and secure. Through infant massage parents can engage their children in quality time, a time when a child’s cues are being read and respected, and when the person administering the massage may relax and gain numerous benefits. It is the parent who has the greatest impact on the life of a child-and it is the child who can has the greatest impact on that parent, laying the foundation upon which the parent-infant relationship grows. Infant massage is not only about massaging a baby-it’s about working with families; building nurturing relationships; assisting with bonding and attachment; furthering respect, trust and love, and training a parent to read the cues of the baby so the child in turn feels love and security. This entry was posted in Classes, Parenting and tagged activities, Baby Massage, Classes, infantmassage, Parenting. Bookmark the permalink. Reblogged this on Meela Bliss.